Born October 23, 1953 in Oslo, Norway. Geir started to play at the local sports club Lambertseter LIF at the age of seven, and has been passionate about the game ever since. At the age of thirteen, he was selected to play for the Oslo area school boys’ team. In 1968 he and his family immigrated to the United States and moved to the Salt Lake valley. He played with the Wasatch Soccer Club in the Utah Soccer Association 2nd division as a sixteen year old, and a year later joined Hollandia S.C. along with a number of his friends. It took another year before the team won the state championship 1972. However all the young players wanted more and in 1973 formed Pan World Soccer Club. The team went on to win five straight State championships in the club’s first six years, going undefeated in league play for over four and a half straight years. They were considered one of the best teams in the western side of the United States. In 1987 he formed West Jordan Soccer League’s first competitive youth team, the U-12 Hotspurs, where he served as coach and later as league president. He later went on to coach America SC and International SC youth teams to several State Cup championships. In addition he spent a number of years coaching UYSA State ODP teams. In 1999 he joined the Association’s Board of Directors as Men’s Division Vice President, a position he still holds. Since 2000, he has been spent almost a decade as the USASA Region IV Select Program commissioner, where he had the privilege of seeing many of the players who later joined the professional ranks, including a number that made it to MLS. 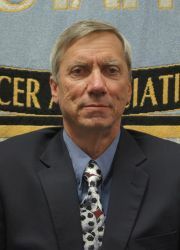 In 2012 he was inducted into the USASA Region IV Hall of Fame.